An oldie, but a goodie. Classic Marshfield Home adjacent to high school ball fields. 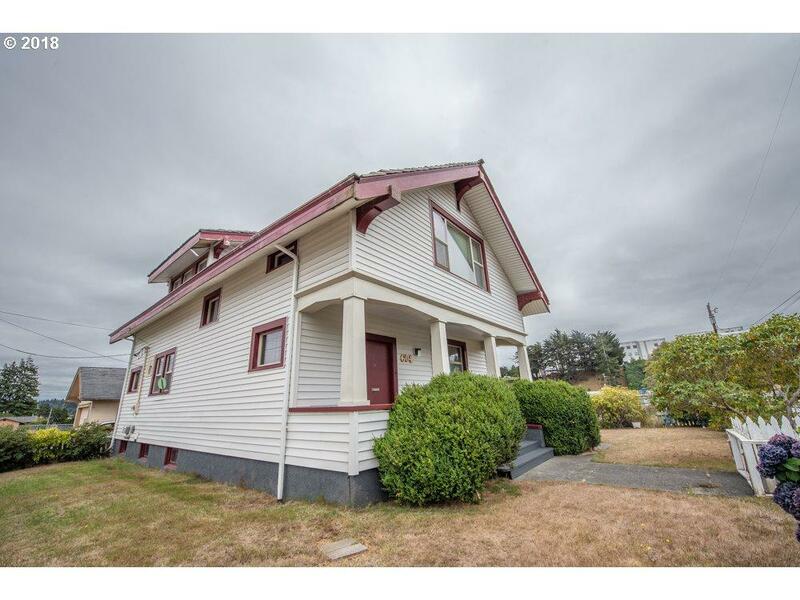 Four bedrooms upstairs, lots of basement storage and classic formal rooms on the main level. Coal boiler converted to oil heats the home, along with pellet stove. Nice thick wooden shakes on roof. Vinyl siding. Detached garage with redwood floors. Watch high school sports from your back yard or enjoy the Prefontaine Memorial Run from your front porch.